Macquarie Group Limited is a publicly-traded (ASX:MQG) for-profit global investment bank that describes itself as “a global provider of banking, financial, advisory, investment and funds management services.” Part of the international business, Macquarie Infrastructure Company, LLC, is a Delaware, Maryland limited liability company that is publicly traded in the United States (NYSE: MIC). The investment banking service and its numerous subsidiaries are involved in privatization of government assets across the board, including: toll roads, airports and airport related infrastructure, bulk liquid storage, ports, communications, media, electricity and gas distribution, water utilities, renewable energy, and rail and ferry assets across 25 countries. According to its 2015 Annual Report, Macquarie's investment bank attained $359 billion (A$486 billion) in assets under management as of March 31, 2015. The group posted a net profit of $1.18 billion (A$1.6 billion) in its latest report, up 27 percent since March of 2014. "Road privatization is a growing issue in the United States as politicians and transportation officials grapple with budget shortfalls. Toll road privatization takes two forms: the lease of existing toll roads to private operators and the construction of new roads by private entities. In both instances, private investors are granted the right to raise and collect toll revenue, a right that can amount to billions of dollars in profits for the shareholders. "Though these privatization deals seem to offer state officials a “quick fix,” they often pose long-term threats to the public interest. By privatizing roadways, officials hand over significant control over regional transportation policy to individuals who are accountable to their shareholders rather than the public. Additionally, the economics of these deals are such that the upfront concession payments are unlikely to match the long-term value of the higher tolls that will be paid by future generations and not collected for public uses." The Indiana East-West Toll Road along the I-90, operated and maintained by Macquarie and Cintra since the joint acquisition in 2006, was one of the first major toll road privatization deals. But as U.S. PIRG's report notes, "[b]y the end of 2008, 15 roads had been privatized in 10 different states -- either through long-term highway lease agreements on existing highways or the construction of new private toll roads." 1.12 Macquarie Board Chair: "You have to paint a great picture of your vision of the future if you want people to follow… Hitler painted a great picture"
5.1.5 Macquarie Infrastructure Company, LLC. PROFITS: According to its 2015 Annual Report, Macquarie's investment bank attained $359 billion (A$486 billion) in assets under management as of March 31, 2015. Macquarie Group posted a net profit of $1.18 billion (A$1.6 billion) in its latest report, up 27 percent since March of 2014.
BUSINESS MODEL: MANAGEMENT AND SUBSIDIARIES: Macquarie Group Ltd. has a non-hierarchical organizational structure, split into six operating groups. The Executive Committee, a central group comprising the Managing Director, Deputy Managing Director, Head of Risk Management, Head of Corporate Affairs and heads of Macquarie's major operating groups, manage the organization as a whole. Public utilities and infrastructure are acquired and managed through a wide array of companies under the Macquarie umbrella. Macquarie Infrastructure and Real Assets Inc. (MIRA) is a wholly owned subsidiary of Macquarie Group Ltd. The asset classes managed by MIRA are very diverse and include: airports, energy, communications, waste management, renewable energy, roads and rail, utilities, real estate, other transport services and other real assets. MIRA’s reach is global with projects in 21 countries. However, there are several other subsidiaries which are not wholly owned by Macquarie Group Ltd., and are therefore traded on various stock exchanges, which also participate in public utility and infrastructure acquisition and management. Macquarie Atlas Roads (ASX code MQA): A global toll road developer and operator. Macquarie/First Trust Global Infrastructure/Utilities Dividend & Income Fund (NYSE code MFD): A NYSE-listed closed-end fund which invests in the management, ownership and operation of infrastructure and utility assets. Macquarie Fund Adviser, LLC is a sub-advisor to MFD. Macquarie Global Infrastructure Total Return Fund (NYSE code MGU): A NYSE-listed closed-end fund which invests in a non-diversified portfolio of equity, debt, preferred or convertible securities and other instruments that are issued by US and non-US companies that own, operate or manage infrastructure assets. The fund's investment advisor is Macquarie Fund Adviser, LLC. Macquarie Infrastructure Company (NYSE code MIC): A NYSE-listed company which owns, operates and invests in a diversified group of infrastructure businesses in the US and other developed countries. Macquarie International Infrastructure Fund (SGX code M41): Owns, operates and invests in a diversified group of infrastructure businesses around the world. Macquarie Korea Infrastructure Fund (MKIF): Listed on the Korean Stock Exchange and London Stock Exchange, MKIF invests in a diversified portfolio of Korean infrastructure assets. There is some degree of managerial overlap between the activities of wholly-owned Macquarie Infrastructure and Real Assets and the various publicly traded subsidiaries. Promotional materials for both MIRA and Macquarie Atlas Roads both tout the management of the Chicago Skyway, the Dulles Greenway and the Indiana Toll Road. A report by the non-profit research organization U.S. PIRG describes Macquarie's financing method as "borrowing future growth to pay investors today[,] bear[ing] the hallmarks of a Ponzi scheme." FOUNDING: Macquarie Group was founded in 1969, is based in Sydney, Australia, and employs over 13,600 people in 28 different countries. In the United States, the bank conducts business out of New York City, located at 125 W. 55th Street in Manhattan. A 2014 inquiry by the Australian Senate called for the Australian Securities and Investments Commission "to put Macquarie Group's financial planning unit under 'intensive surveillance,'" according to the Sydney Morning Herald. The inquiry was sparked by reports of "misconduct by financial planners at the Commonwealth Bank," but concerns about financial practices spread beyond Commonwealth. The Senate report stated, "The committee is concerned with the efficacy of the enforceable undertaking entered into as a result of serious compliance deficiencies within Macquarie Private Wealth." About the inquiry, the Australian Financial Review reported that "Macquarie Group’s private wealth unit [was] accused of not co-operating with the Senate committee that delved into unethical financial planning ­practices at the Commonwealth Bank of Australia." The Sydney Morning Herald noted that Macquarie had already signed an enforceable undertaking with ASIC in 2013, "pledging to clean up serious compliance deficiencies at Macquarie Private Wealth dating back to 2008." That agreement "related to a string of shortcomings within the unit, including a series of lapses in record keeping, risk management and employee training. Among eight concerns raised was that Macquarie may not have provided financial services “efficiently, honestly and fairly”. A group called Citizens Against Unfair Tolls filed a lawsuit against the Virginia Department of Transportation (VDOT) and Elizabeth River Crossings (ERC), a company formed by Macquarie Infrastructure, Real Assets (MIRA) and Skanska Infrastructure Development, in 2012 to stop tolls planned for the Midtown tunnel and expressways in Portsmouth, Virginia. The project was a $2.1 billion venture, which included a $420 million contribution from taxpayers, under the authority of the Virginia's Public Private Transportation Act of 1995. In order to fund the construction and maintenance of a new two lane tunnel, VDOT granted Elizabeth River Crossings the authority to collect tolls on the existing Midtown Tunnel, a road entirely financed with public money. The Portsmouth City Council voted to help fund the Citizens Against Unfair Tolls’ legal fees with $50,000 of municipal dollars hoping to garner support from surrounding cities. In his ruling, Portsmouth Circuit Court Judge James A. Cales Jr. declared that, via the concession agreement between Elizabeth River Crossings and VDOT, the Legislature had unconstitutionally granted "unfettered power" to set tolls "without any real or meaningful parameters." Ceding the power to set toll rates to a private entity was declared to be a violation of Article 4, Section 14 of the Virginia State Constitution. Unfortunately for the taxpayers, if the judge's ruling stands on appeal, taxpayers could be on the hook for over a billion dollars. According to the Virginia Pilot, Fitch Ratings told investors that if the litigation prevented ERC from collecting tolls, the state would be required to repay the $663.75 million in private bonds and $422 million in federal loans accrued for the project. "Taking advantage of the Transportation Infrastructure Finance and Innovation Act, the investors behind the four-lane highway sought to prove that the private sector had a role to play in America's transportation infrastructure. Unlike other so-called "brownfield" acquisitions of existing toll roads like the Chicago Skyway, the South Bay Expressway was supposed to serve as evidence that private industry could build "greenfield" highways with a little help from the feds. The $140 million in federal money loaned to the highway, Bush Transportation Secretary Norman Mineta said at the time, was "a TIFIA success story, demonstrating how innovative federal financing tools can attract private investment to critical transportation projects." Officially owned by the California Department of Transportation, the road would be leased to a group of private backers until 2042. The toll road's backers -- including an assortment of some of the world's leading banks and the Macquarie Infrastructure Group, a major player in the burgeoning world of such so-called "public-private partnerships," (PPPs) -- expected that the then-seemingly unstoppable suburban growth near San Diego would repay their investment handsomely. Eight years later, after $635 million in construction costs, disappointing traffic revenue, the housing crash and bankruptcy, the South Bay Expressway is something less than a monument to "innovative" financing methods and private industry. Instead, the toll road, which emerged from Chapter 11 bankruptcy in April, was officially sold to the San Diego Association of Governments on Dec. 21. Macquarie, the Australian infrastructure investment company, simply wrote the road off as a loss." . In 2005, Macquarie bought a controlling interest in the 14.3 mile Dulles Greenway expressway for $615 million, and have steadily increased toll fees, pushing traffic into residential areas and causing outrage among the public. The Dulles tollway is one of the most expensive in the U.S.
U.S. Congressman Frank Wolf, a Republican representing Virginia, says that Macquarie’s loyalty is to foreign investors and not in "protecting current users or attracting new users." As a result of the steadily increasing tolls, numerous citizen complaints have been taken up by Congressman Wolf and the Virginia transport authorities which have implemented a Community Advisory Committee to determine a more user-friendly Greenway. Governor Daniels Uses Independent Audit as Political Ploy Governor Daniels did not hire an independent auditor until days before the ITR deal was to close. In documents revealed by Mother Jones, Daniels indicated that the request for an "independent analysis" was solely a response to the public outcry that there had been no independent audit of the deal. An independent audit of the deal may have been preferable as Roger Skurski, a professor of economics at Notre Dame, found that the value of the road over the next 75 years could be as much as $11.38 billion. Citizens File Suit to Oppose ITR Public-Private Partnership Deal - Goldman Sachs was paid $20 million in advising fees by the government for work on the deal while simultaneously setting up infrastructure funds that were investing in Macquarie. Todd Spencer, executive vice president of Owner-Operator Independent Drivers Association (a group opposed to the toll road privatization) described Goldman Sachs as "double-dipping" and "playing one side against the other" in the privatization process. Citizens File Suit to Oppose ITR Public-Private Partnership Deal - On April 12, 2006, the Citizens Action Coalition of Indiana and seven individuals filed a lawsuit in St. Joseph Circuit Court to block the ITR deal, and claimed that Governor Daniels "Major Moves" legislation (House Act 1008) violated state law. The Circuit Court judge declared that the lawsuit was a public lawsuit and absent a substantial issue, the plaintiffs would be required to post a $1.9 billion bond to continue litigation. The plaintiffs appealed to the Supreme Court where the judge upheld the bond requirement and also held that the plaintiffs did not present any substantial issues with the House Act 1008. One of the main issues the plaintiffs presented (and rejected by the judge) was that the House Act (dubbed the "Major Moves" by Governor Daniels) violated state law by allowing the state to spend the proceeds from public asset sales on anything other than the retirement of public debt. During the lawsuit, plaintiffs started a website (which is no longer live) with a title page that read "Moving Indiana Jobs and Money to a Foreign Land." Over $120,000 was raised from diverse sources to support and pay legal fees for the lawsuit. Dave Menzer, an organizer for Citizens Action Coalition stated "I think that increasingly the public feels like what's driving politics, what's driving these decisions, is multinational corporations and deal-makers like Goldman Sachs, Merrill Lynch, and Morgan Stanley. They're the ones making tens of millions of dollars ultimately at the public's expense." 2009: Toll Road Operators Talk Default The public-private partnership deal was funded by $748 million in private equity and $3.03 billion in financing from foreign banks. In 2011, the toll road operators reported that only half of the number of trucks needed for the private companies to break even have used the ITR, leaving the concessionaire $209 million short of its debt repayment obligations. Each year it had met its debt repayments only by borrowing more money, and many sources predict that the private operator may default by 2015. A loan default could leave the operation of the ITR in the hands of foreign banks out of Spain and Scotland. Toll Road Operator Claims Governmental Immunity in Lawsuit Filed for Negligent Maintenance of Roads In 2010, a Chicago resident filed a complaint against the ITR Concession Co. for failing to maintain safe road conditions or close a portion of the ITR that was unsafe to drive. The plaintiff lost control of her car on a section of the toll road that she described as covered with ice and snow, lined with cars due to frequent crashes, and lacking any plow or ice trucks. She flipped her car and drove off a 40 foot embankment. The toll road operator claimed governmental immunity as government or state entities cannot be sued for loss caused by weather related conditions on public thoroughfares. ITR Concession Co. claims that its operation and maintenance of the road constitutes "a governmental function undertaken for the public purpose." Toll Road Operator Files for Bankruptcy In September 2014, ITR Concession Co. filed for bankruptcy protection and sought either to be sold or "restructured with $2.75 billion in new debt with almost all the equity going to the secured creditors," as Bloomberg Businessweek described the filing. CEO Fernando Redondo blamed the recession for "lower than projected" revenues, while Bloomberg noted that falling interest rates turned ITR's "estimated $2.15 billion secured liability for so-called swaps transactions used to protect against interest rate fluctuations [...] into a liability." A judge approved the bankruptcy plan in October 2014, giving it until August of the following year to find a buyer or "to issue $2.75 billion in new loans to its senior creditors or obtain new financing and use the proceeds to pay off the lenders," who "would also receive 95.75% of the new equity in the restructured company," according to the Wall Street Journal. Like in Most Projects, ITR's Traffic Projections Were Inflated A review of research and investigative reports by Streetsblog found that "The firms performing traffic projections have strong incentives to inflate the numbers. And the new breed of private finance deals are structured so that when the forecasts turn out wrong, the public incurs major losses." The Denver Post and the Reston Citizens Association (a nonprofit group in Virginia) both examined a number of traffic estimate for P3 agreements and found that traffic estimates were nearly always inflated, with RCA calculating that the average estimate was 109% higher than actual traffic numbers. The two reports noted more than a dozen inflated traffic estimates issued by Wilbur Smith Associates, which produced the estimate on which ITR's proposal was based. Bankruptcy Plans Include Retention Bonuses for Managers, Possible Million-Dollar Sales Bonuses for Execs The Northwest Indiana Times reported in January 2015 that ITR had filed a motion with the bankruptcy court to allow CEO Fernando Redondo and four other executives to "share a $1 million incentive bonus pool if the road's sale fetches more than $4.5 billion. But for every $1 billion in excess of $5 billion paid, the bonus pool would grow by $2 million." Filing the plan suggests that ITR "may be expecting a price far above the $3.8 billion" originally paid in 2006. The plan comes after the court approved a plan to hand out around three-quarters of a million in retention bonuses to just 38 of the road's 283 workers. In October 2004, Chicago Mayor Richard M. Daley signed a lease giving control of the Chicago Skyway, a 7.8-mile toll road which connects the Dan Ryan Expressway to the Indiana Toll Road, to Macquarie and partner Cintra, for 99 years. In return, the Macquarie-Cintra partnership, known as the Skyway Concession Company, gave Chicago a one-time upfront payment of $1.8 billion. The city used the cash infusion to pay off its debts. The terms of the lease permitted toll increases every few years until it would be capped at $5 in 2017. All future toll increases would have to be in accordance with inflation. A scheduled increase to $4 on January 1, 2013 will make the Skyway the most expensive toll per mile of any interstate toll system in the United States. For motorists who use the Skyway daily, the cost is approximately $2,000 per year. A result of the higher tolls has been decreased traffic. The Skyway's traffic was down 5.5%, but Macquarie saw a 14% increase in revenue. Macquarie attributed decreased traffic flow to the feeble U.S. economy rather than the toll hikes. This is just one example of what Dennis Enright, infrastructure expert for NW Financial, explained as "the private-operator's fidelity is to his stockholders - not to the public transportation system, not to the people who use the road. His duty is to get the most possible revenue out of the asset." Commentators have expressed outrage over the terms of the deal and many have offered strategies on how to avoid the Skyway. Justin Kaufmann of Chicago’s WBEZ wrote, “If the Skyway was not privatized and still owned by the city of Chicago, would they have the courage to increase tolls during bad economic times? If our mayor and other elected officials faced the decision to raise tolls, would they do so with gas prices hitting all time highs?” As Chicago begins to debate its new Infrastructure Trust, Macquarie has expressed interest in increasing its infrastructure financing activities in Chicago. Many observers who have learned from the unfavorable experiences with the Skyway see it as another opportunity for Macquarie and other companies to extract money from the city while providing little in return. In 2006, Macquarie acquired the private water utility company Aquarion for $860 million. At the time of the purchase, Aquarion was “one of the 10 largest investor-owned water utilities in the U.S., serving 219,400 homes and businesses, or approximately 677,000 people, in 53 Connecticut, New York, Massachusetts, and New Hampshire communities.” Since the purchase, communities in various states have protested against the steep rate increases carried out by Aquarion’s various subsidiaries. Charles Firlotte, Aquarion’s CEO, gave a presentation to Fairfield residents in July, 2013 in an effort to explain the reasons behind the rate increases. Firlotte cited infrastructure improvements and ever increasing requirements in monitoring chemicals and pollutants in the water supply as reasons for the rate increases. Fairfield residents were not satisfied with the CEO’s justifications and were angered with the 9.59% rate of return that Aquarion investors had enjoyed. In 2008, Macquarie and a group of Canadian pension funds purchased Puget Sound Energy (PSE), the largest energy company in Washington, which provides electricity and natural gas to Seattle and the surrounding area. The Macquarie-led consortium purchased PSE from its shareholders for $7.4 billion, which was financed in large part by borrowing $4.2 billion. Commentators worried from the beginning of the transaction that Macquarie’s heavy borrowing would “saddle Puget Energy with debt, sapping its financial standing and creating pressure in the future to raise rates.” The Washington Utilities and Transportation Commission staff and the Public Counsel Section of the Washington state Attorney General’s Office also opposed the transaction during its initial stages due to the large amount of debt financing. Public Counsel Section Chief Simon Fitch warned “at the same time, customers have no assurance that capital for infrastructure will be any more available or affordable than without the merger. Consumers appear to get little or nothing in return for the increased financial risk.” However, the Washington Utilities and Transportation Commission changed its mind and approved the sale of PSE in early 2009. In December 2006, Macquarie and Diversified Utility and Energy Trusts acquired Duquesne Light Holdings Inc. for $3.15 billion. The company currently supplies over 500,000 people in Southwestern Pennsylvania with electricity. Duquesne Light both generates electricity and delivers it through its grid system. Electricity Watch, which monitors the energy market and compares rates across companies, noted that customers of Duquesne Light were paying significantly more for electricity than customers of other providers in the region. While Duquesne Light customers paid as much as 9.32 cents to 9.89 cents per kilowatt hour, customers of other providers in the region paid between 6.49 cents and 8.49 cents per kilowatt hour. Electricity Watch stated that many customers in Southwestern Pennsylvania were simply unaware that they could switch providers. Duquesne Light would still be responsible for delivering the electricity generated by another provider and its rates would be locked in by the Utility Commission. Broadrock Renewables, LLC was founded as a company in the Macquarie Infrastructure Partners portfolio in 2010. The company works in refining natural gas from fumes generated by landfills. The company has operations in California and Rhode Island. The Broadrock facilities in Johnstown, Rhode Island have faced considerable problems since it began operations. In July, 2013, a massive explosion occurred which severely damaged the facility but did not injure anyone. The Johnstown Fire Department investigated the site and noticed piping which “incorporated plastic 8-inch diameter tubing and other sub-par materials insufficient for industrial use.” This occurred just one week after a much larger Broadrock plant in Johnstown was shuttered by town authorities for using substandard pipes. A Broadrock spokesman responded by to the incident by stating that the pipes used complied with “industry standards.” Broadrock Renewables’ Johnstown facility also faced opposition from residents for the noxious odors emanating from their natural gas operations. Both Broadrock and Rhode Island Resource Recovery Corporation, which owns the landfill itself, were accused of failing to properly capture all the gasses which are produced by the rotting garbage. The landfill permitted large quantities of hydrogen sulfide, which smells like rotten eggs, to escape, which drew serious complaints from neighboring residents. The facility had been cited for many violations by building inspectors, who noted in one instance that a broomstick and duct tape had been used to make a repair. In 2011, the town sued Broadrock and Rhode Island Resource Recovery Corporation over the odors. The case against Broadrock settled in 2013. The terms of the settlement included a structured payment of $3 million over 20 years and an agreement that Broadrock would hire a new firm to manage the collection of gasses at the landfill to be delivered to Broadrock’s refineries. American Roads, LLC was created by Macquarie in 2006 and operates several toll roads in Alabama and the Detroit Windsor Tunnel linking the US and Canada. Shortly after incorporation, Macquarie loaded American Roads with $830 million of debt in order to finance the roads projects. Macquarie then sold the company to Alinda Capital Partners. American Roads started to fall behind in servicing its debt and filed for bankruptcy in 2013. However, one of the creditors, Syncora Guarantee, Inc. filed a lawsuit in New York State Court against Macquarie and Alinda which alleged fraud and misrepresentation, in particular that Macquarie had “a secret and improper relationship with Australian traffic and revenue forecaster Maunsell Australia Pty Ltd (since absorbed into Aecom) to produce unrealistically high traffic and revenue forecasts.” According to State Supreme Court judge Melvin Schweitzer, a system of fees paid by Macquarie to Maunsell for more favorable revenue forecasts amounted to fraud and found in favor of Syncora. The bankruptcy deal proceeded with holders of $496 million in bonds will receive nothing and ownership of the company will change hands to Syncora. Macquarie Board Chair: "You have to paint a great picture of your vision of the future if you want people to follow… Hitler painted a great picture"
In early 2012, Macquarie received negative press when, during a live TV interview, one of their employees was caught looking at inappropriate images on his computer screen in the background.This clip can viewed to the right. Macquarie was accused of impropriety in its dealings surrounding the privatization of Puerto Rico's Luiz Munoz Marin Airport. In the buildup to the bidding process, Macquarie served as an adviser to the Puerto Rican government on the structuring the deal. However, Macquarie was also part of a consortium bidding for the contract to manage the airport. While Macquarie's consortium ultimately lost the bidding process, Puerto Rican activist lawyer Pabon Rosario brought the conflict of interest to the attention of the FAA. In January 2006, Macquarie announced plans to acquire 100% ownership for Smarte Carte Corporation for $270 million. The St. Paul, Minnesota-based corporation is best known for its trolley, cart and locker services at airports but also manages these services at ski resorts, amusement parts and similar venues. Macquarie's chief financial officer, Greg Ward, said Smarte Carte was a "well-established, geographically diversified business with high barriers to entry and stable cash flows". The deal was financed with $141.7 million in cash and the rest in debt. Noting Macquaire's other airport services, Lisa Murray of the Sydney Morning Herald wrote "not content with charging travellers for using its airports, Macquarie Bank is now going to collect a fee for carrying their luggage." Geoff Segal, Senior Vice President of Macquarie Capital USA and the private sector chair of the Transportation and Infrastructure subcommittee of ALEC's Commerce, Insurance and Economic Development Task Force, promoted ALEC's "Establishing a Public Private Partnership (P3) Authority Act" in an August 2011 ALEC annual meeting. The model legislation urges a centralized power to more efficiently approve public-private partnerships in the interest of promoting the privatization of public assets. A similar entity was established by the state of Colorado, and Macquarie subsequently served as the financial advisor on a deal to form a "public-private partnership" for a section of I-70 running through Denver. Segal wrote a brief article in the 2012 edition of the "Inside ALEC" organizational newsletter illustrating that states such as Virginia, Texas, and Illinois have already begun to implement ways to streamline the privatization process. ALEC has pursued a decades-long agenda to privatize the most profitable aspects of government and shrink those that remain. At ALEC's 2013 Annual Meeting in Chicago, members of the Transportation Subcommittee of the Commerce, Insurance and Economic Development Task Force -- of which Macquarie is a member -- discussed "ALEC Principles on Toll Roads," which backs privatization of toll rolls, and is particularly relevant to Macquarie. "The American Legislative Exchange Council has been a major force in pushing for the privatization of public services and assets. They actively promote privatization that allows corporate takeover of public functions. This agenda is evident in ALEC’s model bills. ALEC works with its corporate members to draft model bills that state legislators can introduce and push in their states. Many of these bills create incentives to privatize services and call for the increased use of private financing and control of public infrastructure projects. The bills also have the potential to generate lucrative sources of revenue for ALEC’s corporate sponsors. For example, ALEC bills make it easier to create virtual public schools, encourage states to privatize vital health programs that help vulnerable populations, force state governments to sell public prisons to private corporations, and help other industries take control of public services. As a result, we stand to lose control of critical public services and assets and we risk a weakened democracy." Additionally, ALEC has approved bills and resolutions to advance the privatization of pensions, Social Security, Medicare, Medicaid, and public infrastructure such as roads. According to an August 2013 ALEC board document obtained by The Guardian, Macquarie terminated its ALEC membership on March 17, 2013. Section 5.01 of the Comprehensive Agreement between ERC and VDOT states that "Concessionaire will have the exclusive right to impose, charge, collect, use and enforce the collection and payment of the Toll Revenues, in accordance with the terms of this Agreement." This language gives ERC the seemingly unlimited ability to raise and collect tolls as they see fit. Non-Compete Clause, pg.4 - The agreement sets out that when a state entity decides to build a competing highway that would potentially take traffic or profits away from the Indiana Toll Road, the state must pay the Concessionaire (the Cintra/Macquarie LLC) for lost profits. A competing highway is defined as any newly constructed comparable highway built by or on behalf of the state during the concession and is within 20 miles of the ITR. No employment guarantees or protections, Covenant 2.5(h) - The Comprehensive agreement does not provide any safeguards for those county/city/state employees who were employed by the ITR before the Concession period started. Though covenant 2.5(h) mentions that the Concessionaire shall have a preference for state-citizen workers, it is in the sole discretion of the concessionaire to hire whomever it pleases. Article 14, "Adverse Actions" - Any action taken by the state that would reasonably adversely effect the Concessionaire and its profits results in a compensation event in which the state is liable to the concessionaire for loss of profits (pg.4). An adverse action could include something as broad as the enacting of a new law that would negatively impact traffic flow or regulations on the ITR. Article 15, Delay Events - The State is responsible for compensating the Concessionaire for lost profits during certain events that may delay their operations or revenue collecting abilities. For example, when the tolls were frozen while electronic tolling was installed, the state was responsible for paying CINTRA/MIG for the difference in revenue. - . Macquarie Group spent $81,907 in political contributions in 2012. The top recipitient was the Democratic Governors Association, receiving $51,400. Macquarie also contributed to the presidential campaigns of both Barack Obama and Mitt Romney, receiving $4,000 and $16,499 respectively. The Center for Responsive Politics also reports that Macquarie has $128,661 directly to candidates between 2004 and 2012. Macquarie spent $1,640,000 on lobbying since 2001. However, no money was spent on lobbying since 2010. In that year, Macquarie spent $80,000 on securities and investment related issues, hiring the firms Mercury and International Government Relations Group. In a 2010 lobby report, Macquarie reported spending $40,000 on the specific issues of public-private partnerships, TARP, and Surface Transportation Authorization Act. Specific Bills lobbied by Macquarie were the Department of Transportation Appropriations Act of 208 and SAFETEA-LU Infrastructure Financing and Implementing Regulations. 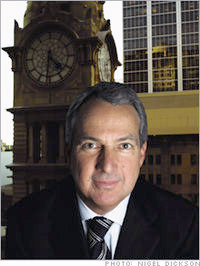 Mr. Nicholas William Moore, BCom, LLB (UNSW), FCA has been the Managing Director and Chief Executive Officer of Macquarie Group Limited since May 24, 2008. Mr. Moore serves as the Head of Investment Banking Group of Macquarie Bank Limited since 2001. Mr. Moore has been primarily responsible for the development of the infrastructure, structured finance, and leasing businesses of the group. He serves as an Executive Director of Macquarie Communications Infrastructure Group and also serves as an Executive Director of Macquarie Communications Infrastructure management Limited. Mr. Moore has been the Head of Macquarie Banks Investment Banking Group since 2001. He served as the Head of Asset and Infrastructure Group at MAp Group (Macquarie Airports) since 1997. Whilst at Macquarie, he has led a wide range of major financing transactions including the establishment of the Hills Motorway. Prior to joining Macquarie, he practiced as a Chartered Accountant specializing in the provision of taxation advice to the finance industry. He serves as a Director of Hills Motorway Limited and Four Corners Capital Management LLC. He has been an Executive Director of Macquarie Bank Limited since May 24, 2008. He serves as an Executive Director for Macquarie Airports. Mr. Moore served as a Director for Macquarie Infrastructure Investment Management Limited, the Responsibility Entity of the trusts comprised in the Macquarie Infrastructure Group until May 2008. He served as a Director of Macquarie Airports Management Limited and Macquarie Capital Alliance Management Ltd., until May 2008. He serves as Member of Executive Committee of Macquarie Ddr Trust. Mr. Moore served as a Non-Executive Director of Hills Motorway Group until January 07, 2004. He is a qualified Chartered Accountant. Mr. Moore's compensation for the fiscal year ending March 31, 2014 was reported at $12.1 million. ↑ 4.0 4.1 4.2 Macquarie Group, 2015 Annual Report, Corporate website, August 2015. ↑ 5.0 5.1 5.2 5.3 Phineas Baxandall, Ph.D., Kari Wohlschlegel, and Tony Dutzik, Private Roads, Public Costs: The Facts About Toll Road Privatization and How to Protect the Public, organizational report, Spring 2009. ↑ Amy Goldstein, Privatization backlash in Indiana: Plan to turn over toll road to foreign firms spawns political storm, Washington Post, June 18, 2006. ↑ Macquarie Group, Organisation Structure, "corporate website", accessed November 5, 2013. ↑ Macquarie Group, Macquarie Funds Group, "corporate website", accessed November 5, 2013. ↑ 9.0 9.1 MIRA, Allentown, PA Water and Sewer Concession Request for Qualifications Response, , "Allentown, PA Government website", accessed November 5, 2013. ↑ Macquarie Group, Contact, corporate website, accessed August 2013. ↑ 11.0 11.1 Adele Ferguson and Ben Butler, "Senate inquiry turns up heat on Macquarie," June 27, 2014. Accessed July 22, 2014. ↑ 12.0 12.1 Joyce Moullakis and Patrick Durkin, "Macquarie drawn into Commonwealth Bank financial planning row," Australian Financial Review, July 7, 2014. Accessed July 22, 2014. ↑ Citizens Against Unfair Tolls Complaint, lawsuit filed in Circuit Court of City of Portsmouth, July 12, 2012. ↑ 495 Express Lanes, I-40 Regional Partnership, corporate PowerPoint presentation, December 20, 2012. ↑ Court Rules in Favor of Group Fighting Tunnel tolls, WVEC Portsmouth News, May 14, 2013. ↑ Jason Marks, Council to help with toll legal fees: Portsmouth City Council to give $50K, WAVY, February 13, 2013. ↑ 17.0 17.1 Dave Forster, Virginia could be on the hook for $1 Billion Midtown Tunnel debt, The Virginia Pilot, May 3, 2013. ↑ Matt Sledge, South Bay Expressway: Bankrupted Toll Road Tests Transportation Department Program, Huffington Post, December 27, 2011. ↑ Steve Schmidt, Toll Road Operator files for Chapter 11, San Diego Union-Tribune, March 24, 2010. ↑ Macquarie Atlas Roads Press Release, Macquarie Atlas Roads, March 23, 2010. ↑ David Tanner,Virginia cites high toll rates in proposed 'buyback' of private toll road, Land Line Magazine, January 15, 2013. ↑ James Nash, California Toll Bonds Hampered by Freeways: Muni Credit, Bloomberg Businessweek, Jan 1, 2013. ↑ 23.0 23.1 23.2 23.3 Simon Mann, US Motorists Rage Against Macquarie Tol, Sydney Morning Herald, March 28, 2011. ↑ Amy Goldstein, Privatization backlash in Indiana, Pittsburgh Post Gazette, June 18, 2006. ↑ Email Evidence from Indiana's Privatization Deal, The Fix is In?, Mother Jones, January 1, 2007. ↑ Goldman Sachs' Road to Riches, "Mother Jones", Jan. 1, 2007. ↑ 30.0 30.1 eTrucker Staff, Lawsuits challenge Indiana Toll Road plan, Everything Trucker, May 25, 2006. ↑ Politics, Fellow Travelers, Mother Jones, January 1, 2007. ↑ Indiana Toll Road Project Profile, Federal Highway Administration, accessed July 30, 2013. ↑ Carol Wolf, The Public-Private Indiana Toll Road is in Trouble, Bloomberg Businessweek, July 7, 2011. ↑ Carol Wolf, Indiana Road Burdened by Debt Reveals Public-Private Risks, Bloomberg,June 27, 2011. ↑ 35.0 35.1 Niki Kelly, Sued over crash, Toll Road firm claims immunity, The Journal Gazette, July 18, 2010. 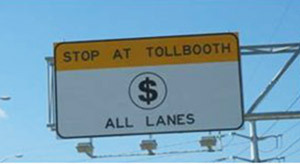 ↑ Indiana Toll Road company claiming lawsuit immunity, news 13 wthr.com, July 25, 2011. ↑ Michael Bathon, "Indiana Toll Road Seeks Bankruptcy as Traffic Declines," Bloomberg Businessweek, September 22, 2014. Accessed January 26, 2015. ↑ Jacqueline Palank, "Judge Approves Indiana Toll Road Bankruptcy-Exit Plan," Wall Street Journal, October 28, 2014. Accessed January 26, 2015. ↑ Angie Schmitt and Payton Chung, "The Great Traffic Projection Swindle," Streetsblog, November 20, 2014. Accessed January 26, 2015. ↑ Reston Citizens' Association, "Wilbur Smith Associates’ Traffic and Revenue Forecasts: Plenty of Room for Error," research report, January 25, 2012. Accessed January 2, 2015. ↑ Chuck Plunkett, "No 2-Way Street: When Landowners Help Pay the Toll," Denver Post, May 29, 2006. Accessed January 26, 2015. ↑ Keith Benman, "Indiana Toll Road execs could reap big bonuses," Northwest Indiana Times, January 16, 2015. Accessed January 26, 2015. ↑ Mark Peterson, "Some Toll Road workers could get big bonuses," WNDU, January 6, 2015. Accessed January 26, 2015. ↑ John Skorburg, ", "Heartland Institute", December 1, 2010. ↑ Edward McClelland, "Opinion: How to Avoid Skyway Tolls, "NBC Chicago", April 5, 2013. ↑ Peter Samuel, "Dulles Gway, Indiana TR and Chicago Skyway traffic #s down, $s up, "Tollroads News", July 11, 2011. ↑ Justin Kaufmann, "Privatization woes: Wouldn't it be nice to freeze Skyway toll increases to offset gas prices?," "WBEZ 91.5", April, 25 2011. ↑ Tom Tresser, "Don't Trust the Infrastructure Trust, "The Huffington Post", April 2, 2011. ↑ Ilana Novick, "Private Money, Public Projects: Is Chicago's Infrastructure Trust a Good Model?," "Demos", November 26, 2012. ↑ "Macquarie Bank to Acquire Aquarion Water Company, "Business Wire", February 24, 2006. ↑ Shawn O'Sullivan, "Aquarion increase faces rough water", "Greenwich Post", June 28, 2013. ↑ Andrew Brophy, "Aquarion exec fails to douse anger over higher water rates, "Fairfield Citizen", July 10, 2013. ↑ "Report of the Water Company Acquisition Study Committee, "Town of Hingham, MA", April 22, 2013. ↑ Neal Simpson, "Hingham offers to buy water system from Aquarion, "Patriot Ledger", June 16, 2013. ↑ Nicole Leonard, "Hingham sues Aquarion over water system price, "Boston.com", July 5, 2013. ↑ Angel Gonzalez, "Puget Energy's path to going private, "Seattle Times", May 4, 2008. ↑ "Macquarie Bid for Puget Sound Energy Facing Tough Scrutiny, "Forbes", June 20, 2008. ↑ "Puget Sound Energy Merger Parties Expect to Close by Feb. 6," "Business Wire", January 16, 2009. ↑ Gabriel Madway, "Duquesne Light holders OK acquisition by Macquarie group, "Market Watch", December 5, 2006. ↑ "About Us," "Corporate Website", accessed November 6, 2013. ↑ 61.0 61.1 "Duquesne Light Increases Price to Compare, "Electricity Watch", accessed November 6, 2013. ↑ 62.0 62.1 John D. Oravecz, "Customers large, small criticize rate hike plan from Duquesne Light, "Trib Live", October 28, 2013. ↑ ", "Business Wire", October 19, 2012. ↑ Mark Reynolds, "Operations at Broadrock Renewables, in Johnston, scrutinized after gas explosion, "Providence Journal", July 17, 2013. ↑ 65.0 65.1 Mark Reynolds, "Johnston, Broadrock Renewables settle lawsuit over landfill odors, "Providence Journal", September 10, 2013. ↑ "Bankruptcy reorganization for American Roads not as harmonious as seems, "Toll Road News", July 26, 2013. ↑ Erik Larson, "American Roads Reorganization Survives Objections, "Bloomberg", August 28, 2013. ↑ 70.0 70.1 Daniel Bond Graham, "Airport Privatization Takes Off in Puerto Rico, "Truthout", April 23, 2013. ↑ Puerto Rico picks two finalists for airport privatization, "Reuters", May 2, 2012. ↑ 72.0 72.1 Lisa Murray, "Smarte Carte's in the bag for Macquarie, "The Sydney Morning Herald", January 10, 2006. ↑ Kevin Foley, "Macquarie Buys U.S. Airport Luggage Unit for $270 Mln (Update4), "Bloomberg", January 9, 2006. ↑ American Legislative Exchange Council, 2011 Annual Meeting Commerce, Insurance and Economic Development Task Force Agenda, organizational document, June 30, 2011. ↑ State of Colorado Department of Transportation, I-70 Viaduct Project Workshop, memo obtained by Friends of the Colorado Public Utilities Commission, accessed November 11, 2014. ↑ Anne Butterfield, "ALEC's Half-Century Contract on the Boulder Highway, US 36," Huffington Post, January 29, 2014. Accessed November 11, 2014. ↑ Geoff Segal, Bridging the Gap, Inside ALEC organizational newsletter, October 2012, page 6. ↑ Brendan Fischer, What's on ALEC's Agenda for its 40th Anniversary Meeting in Chicago?, PRWatch, August 7, 2013. ↑ 79.0 79.1 In the Public Interest, Profiting from Public Dollars: ALEC’s Privatization Agenda, organizational report, July 23, 2012. ↑ Center for Media and Democracy, ALEC and Privatization, organizational fact sheet, accessed August 2013. ↑ Comprehensive Agreement, Elizabeth River Tunnel Agreement, December 5, 2011. ↑ Indiana Toll Road Concession and Lease Agreement, Comprehensive Agreement between Indiana Finance Authority and ITR Concession Company LLC, April 12, 2006. ↑ 84.0 84.1 Peter Samuel, Concession Contract for Indiana Toll Road Detailed, Toll Road News, February 7, 2006. ↑ Statewide Mobility Partners LLC, Consolidated Financial Statements 2011, Macquarie Atlas Roads website , page 12, accessed August 6, 2013. ↑ Center for Responsive Politics, Macquarie Group, OpenSecrets, accessed August 2013. ↑ Center for Responsive Politics, Macquarie Group: Lobbying, "OpenSecrets", accessed November 7, 2013. ↑ Kyle Glazier, Experts Expect P3 growth in 2013, The Bond Buyer, December 28, 2012. ↑ International Government Relations Group, 2010 Lobby Report for client Macquarie Securities (USA) Inc., January 1-March 31, 2010. ↑ Center for Responsive Politics, Bills Lobbied 2007, OpenSecrets federal lobbying database, accessed July 30, 2013. ↑ Center for Responsive Politics, Bills Lobbied 2006, OpenSecrets federal lobbying database, accessed July 30, 2013. ↑ 93.0 93.1 Bloomberg Business, Executive Profile Nicholas William Moore, Bloomberg Business, August 11, 2015. ↑ Macquarie Group, , Corporate Website, Accessed August 11, 2015. ↑ Bloomberg Business, Executive Profile Stephen D. Allen, Bloomberg Business, August 11, 2015. ↑ Bloomberg Business, Executive Profile Tim C. Bishop, Bloomberg Business, August 11, 2015. ↑ Bloomberg Business, Executive Profile Ben A. Brazil, Bloomberg Business, August 11, 2015. ↑ Bloomberg Business, Executive Profile Andrew James Downe, Bloomberg Business, August 11, 2015. ↑ Bloomberg Business, Executive Profile Garry A. Farrell, Bloomberg Business, August 11, 2015. ↑ Bloomberg Business, Executive Profile Michael McLaughlin, Bloomberg Business, August 11, 2015. ↑ Bloomberg Business, Executive Profile Nicole Sorbara, Bloomberg Business, August 11, 2015. ↑ Bloomberg Business, Executive Profile Patrick Upfold, Bloomberg Business, August 11, 2015. ↑ Bloomberg Business, Executive Profile Stevan Vrcelj, Bloomberg Business, August 11, 2015. ↑ Bloomberg Business, Executive Profile Gregory Colin Ward, Bloomberg Business, August 11, 2015. ↑ Macquarie Group, Board of Directors, Corporate Website, Accessed August 2015. ↑ Macquarie Atlas Roads, Managment, Corporate Website, August 2015. ↑ Macquarie Atlas Roads, Australian Board, Corporate Website, August 2015. ↑ Macquarie Atlas Roads, Bermudian Board, Corporate Website, August 2015. ↑ "Leadership, Corporate website, August 2015. ↑ "Board, Corporate website, August 2015. ↑ "Board of Directors, Corporate website, August 2015.